Mrs. Jacobson joins Country Day School in the 4th Grade this year after a 7-year teaching career. 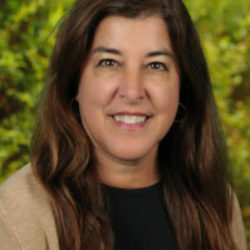 A Los Angeles native, Mrs. Jacobson earned her Bachelors degree at UCLA. She spent some time working in advertising and financial marketing before returning to UCLA to obtain her teaching credential. Mrs. Jacobson enjoys cooking, reading, hiking, and snorkeling with her daughter, who also joins RHCDS this year as a 7th Grade student.